Vermiwash is a watery extract of compost, the wash of earthworms present in the medium. Earthworm body is long tubular type Measure portion of this body is filled up with this Celomic fluid. Celomic fluid is always secreted from the body of earthworms and always keeps the body of wet. 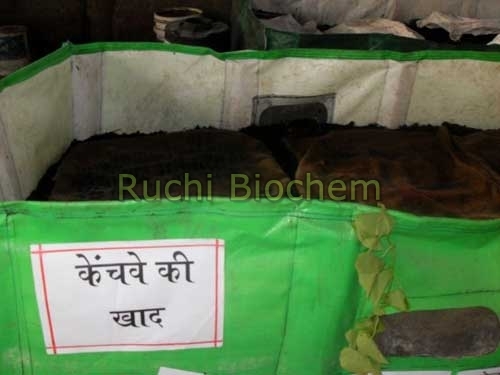 We can collect Celomic fluid of earthworms and this is called Vermiwash. This Celomic fluid helps earthworms in respiration. Atmospheric Oxygen while it passes through this fluid is purified with the help of fluid and finally absorbed in the body of the earthworms. Celomicites, Granulocites and Limphoidocites cells are present in the Celomic fluid. This helps in healing of wounds of earthworms and gives imitation power to earthworms. No pathogens can survive in this fluid, thereby protecting earthworms from the diseases caused due to pathogens. Soluble Nitrogen, Phosphorus and Potash are the main nutrients in Vermi wash. Hormones such as Cytokinins, Oxyn etc., Amino Acid, Vitamins, Enzymes, some other secretions and many useful microbes such as heterotrophic bacteria, fungi, actinomycetes including nitrogen fixers, phosphate solubilisers are present in the Vermiwash. The earthworm Vermiwash is rich in dissolved nutrients. Amino Acids in the Vermiwash are easily available for plants. Vermi Composting system is suitably designed for easy collection of Vermiwash. Vermiwash can be collected on polythene paper spread on the ground below the instrument or by keeping instrument on slopping platform.